How often have your PC crashed ? How often have you worried that all your data is lost and that you must start from the scratch ? Well, losing data and beginning from the scratch isn’t an issue if you are dealing with movies or some of your casual documents. However, when you’ve something confidential and important things to keep in your PC, it is, more or less, the loss of efforts. Have you ever thought of losing your half-finished project or half-designed work ? If you haven’t yet, it’s time to think about it — also about best data backup software you must use in those cases. As you know, data backup and recovery software are used to backup your important data and to recover it after you have gone through data loss — such as a PC crash or other threats. Nevertheless, it’s a must to choose the best in list if you want to be successful. And, we will, here, help you to choose the best ones from the category. CrashPlan isn’t the typical computer backup solution you will stumble upon; nor is it limited to the offsite backup of your files, which can be stored in your external hard drive or something. On the other hand, you get wider range of options such as online data backup and offline backup, simultaneously. The best part is that, regardless the plan you choose, you get free local backup and offsite backup, thus making the files ultimately secure. So, this can be the best choice of yours when you need offline and online backup of your important digital data. It’s available for both Mac & Windows. When accompanied by its online backup system, your data is secured by the triple destination protection, as the company says. There is yet another feature that makes CrashPlan one of the best data backup software — you can use the offsite and local data backup option, free of cost. 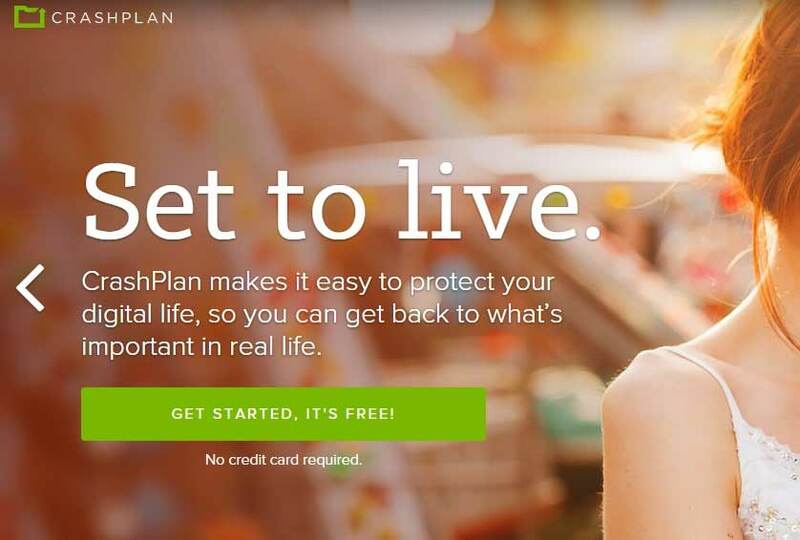 Other notable features of CrashPlan as a free data backup include the ability to backup unlimited data, access using Smartphone apps, regular retention and revision etc. In all aspects, CrashPlan is way too smarter. Paragon Backup & Recovery 15 Home is one of the best data backup software for Windows given that you’d pay for what you get. As the name says, it’s a fully-fledged collection of data backup as well as recovery. With this tool, you’ll be able to backup a variety of sources, such as a single file or folder, an entire Operating System or a complete HDD of yours. 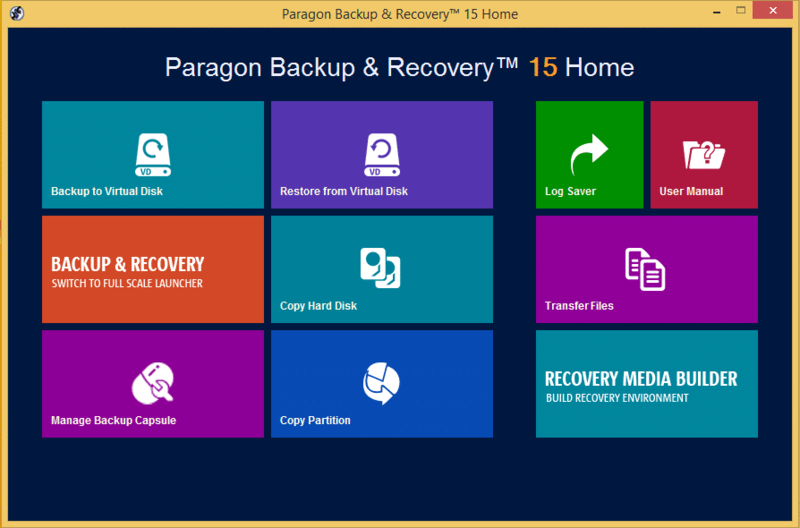 Paragon Backup & Recovery 15 Home is available for $39.95 — though a free demo version is available — & it has an awesome set of features to offer. The superb features of this fully-fledged data backup solution start from complete compatibility with Windows 10! On top of all these, there is Set & Run Technology; once you’ve installed the solution in your PC, you need not to get conscious about the backup and restore thing. Another notable feature of Paragon Backup & Recovery 15 Home is known as Recovery Media Builder 3.0, which lets you fix the PC when it is not booting up. In short, we would say Paragon Backup & Recovery 15 Home is an all-the-round backup solution for your home. Acronis Backup is available for a variety of platforms — Windows Server, Linux Server, PC and VMWare! In short, you are going to have a comprehensive backup solution for your home or small business environments. Powered by disk imaging technology developed by Acronis, this can offer fully-fledged protection for your data. When combined with the Universal Restore technology that is used, you don’t have to fear about any kinds of hardware failures in no way. Of course, it’s a paid data backup software, but you’re going to have a set of productive features once installed. The first one will be, as said earlier, Universal Restore — you will be able to store the backed up data into a variety of storage methods such as HDDs or virtual servers. At the same time, Bare Metal Restore technology helps you to get all your data secure — without losing anything — in another drive or so. 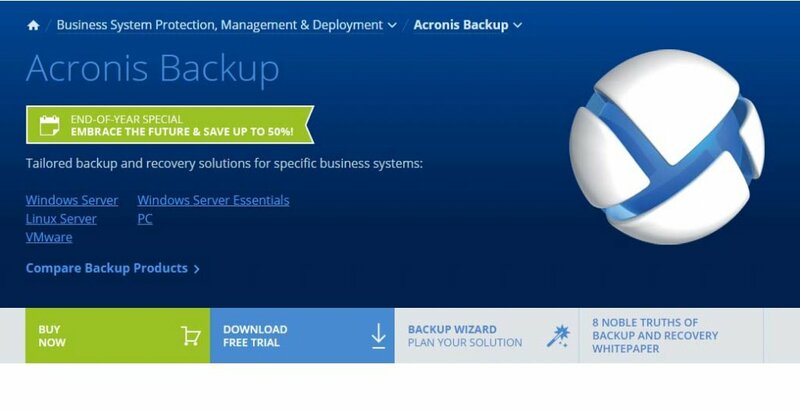 Also, Acronis Backup offers integration with Acronis Backup to Cloud, in case if you wanted the backup to be present in cloud servers as well. Additional features include schedulable backup operations, backup replication and staging, data encryption of 256-bit AES along with its compression techniques. 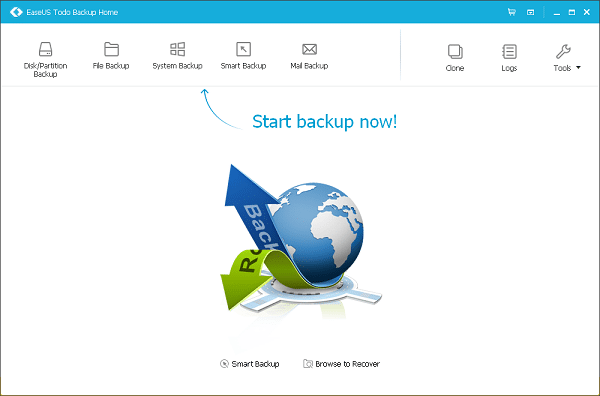 EaseUS Todo Backup Home is a quite-popular data backup solution, which is quite capable as well. It’s been not long since this solution was launched; however, it was able to attract more than 6000000 home users in the shorter time-period. Like one of the tools we have mentioned above, EaseUS Todo Backup Home seems to offer both offline & online backup solution, and you can make use of Google Drive/Dropbox to make your data more secure. The Windows-10-ready data backup software is offering a satisfactory free version as well, but you need to go premium if you want the full set of features. As we come to the case of offline data backup, you can backup HDDs with capacity up to 16TB for storing the important data you have. Similarly, different kinds of data backup options are available, ranging from single file backup to complete system backup that protects almost everything. Also, other features of this solution include scheduled backup, pre-OS recovery environment, selective file restore etc. On top of all these, EaseUS has got an awesome User Interface to get you the best backup experience, with no lag, whatsoever. If you are looking for the best data backup software for Mac, you should have a look at Data Backup 3 from Prosoft! It’s worth noting that the software is offering fully-fledged system and file backup for your Macintosh device. One of the awesome features we found is the simplicity with which the whole solution has been crafted — ranging from a drag-and-drop selection to multiple-destination data backup. For the amount you pay, Data Backup 3 from Prosoft offers the best-possible interface, accompanied by the best set of features you’d love. It’s Mac-only, by the way. The feature we found preeminent in Data Backup 3 from Prosoft is the ability to create different kinds of backups. Its wide range includes bootable clones, DVDs or CDs etc. Regardless the destination you choose, the backup made will be precise and secure, for that matter. Also, Data Backup 3 from Prosoft lets you create bootable clone volumes that would be useful in the long run, especially if a hardware error affects your Mac. Also, if you don’t prefer local backup method, you can go with the networking system backup. 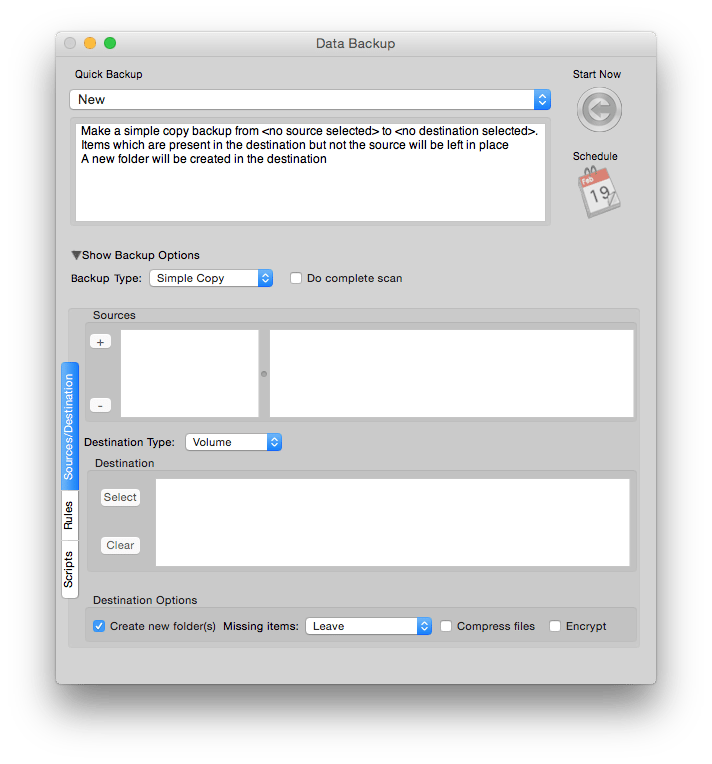 When we consider the other features such as encryption & scheduling capabilities, Data Backup 3 from Prosoft becomes a superb choice for the safety-conscious Mac user. One of the highly-recommended and professional data backup solutions for Windows, O&O DiskImage 10 packs an extreme variety of productive features. You have to pay $49.95 for O&O DiskImage 10, but we think the pricing is lot more reasonable, considering the capabilities. Stunning compatibility is one of the awesome features we found in it; for instance, it works fine with both SSD drives and the UEFI systems, for that matter. Apart from this compatibility, it offers a lot of features as well. We found some of those features to be awesome. Obviously, you will have both single-file and complete system backup options available. That is, depending upon the requirement of yours, you can backup HDDs or SSDs. Also, as per what O&O DiskImage 10 says, the backup process is quicker than that of competitors. 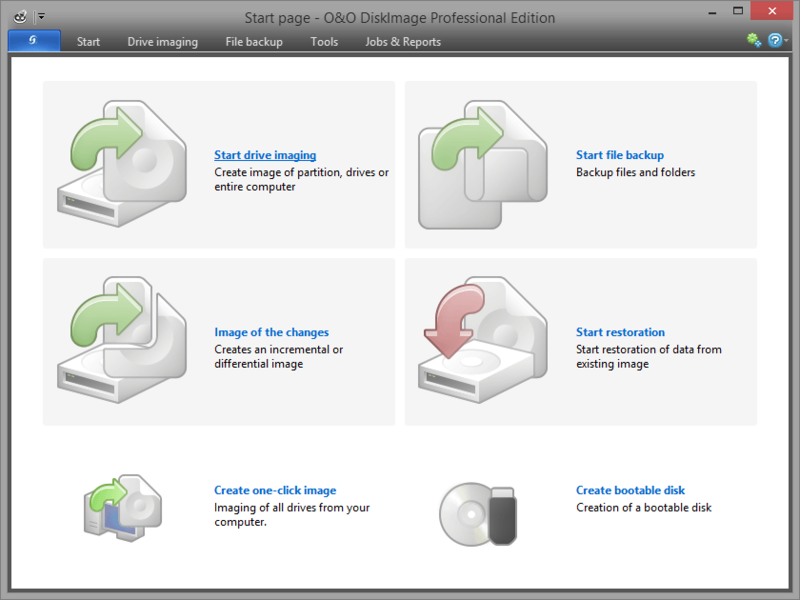 Other features of O&O DiskImage 10 include plug-and-play interface, creation of VHDs, better monitoring of issues, multi-hardware system restore etc. Also, you can choose the most appropriate backup — incremental or backup. And, you are going to have basic features such as schedule backups and nice disk-imaging capabilities. 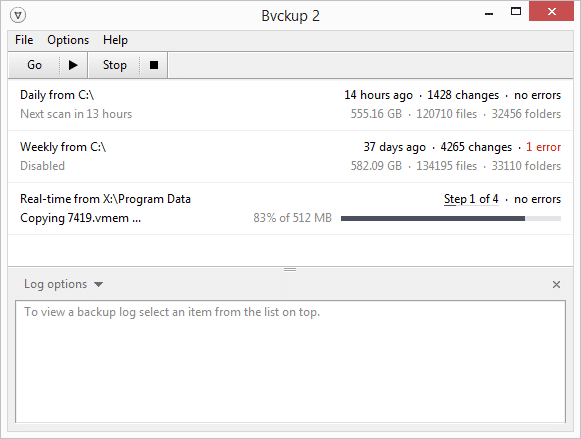 When you don’t want all the mess about data backup, you can go for Bvckup 2. To complement the effective way of working, Bvckup 2 comes with an ultra-simple UI. You don’t get many options in the UI. On the other hand, you can select one destination folder and the source folder. In a relatively quicker time, the backup process will be finished. Despite the seemingly-silly UI, you get a plenty of features. For instance, there are real-time backups, scheduled and manual options of backup, native 64-bit support for enhanced performance, Delta Copying for copying only those modified part of a particular file or folder. Altogether, as one of the paid data backup solutions you grab, Bvckup 2 is doing the job very well, which is actually we want. When you need a fully-fledged data backup solution that is suitable for small businesses as well, you should go with Acronis Backup or O&O DiskImage 10. With these tools, you are going to get some professional features. If you need advanced features along with online integration, on the other hand, you should choose CrashPlan or EaseUS Todo Backup. Out of these, EaseUS Todo Backup Home seems to be the most intuitive tool as well. Nevertheless, as we have said earlier, the best choice we ever found is Bvckup 2. Well, so, you can choose according to your requirements. Advantages of Cloud Computing: Is Cloud Based Solution Right for Your Business? Next: TRP Guides: How to Take Screenshots on Android Easily?